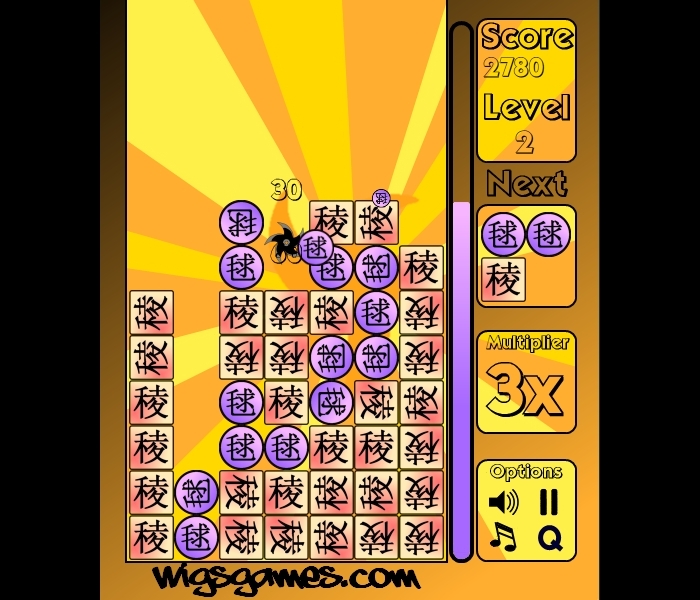 Shuriken Drop is a falling puzzle game developed by Wigs Games. 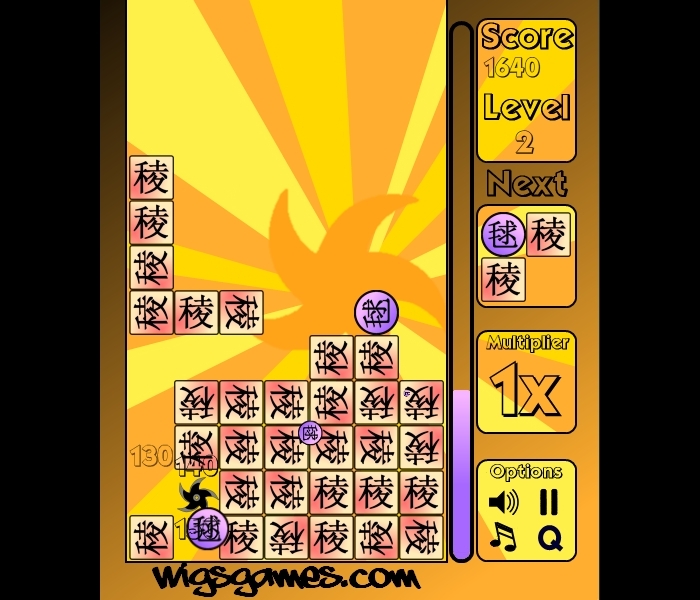 Shuriken Drop is a simple to learn, yet difficult to master puzzle game! 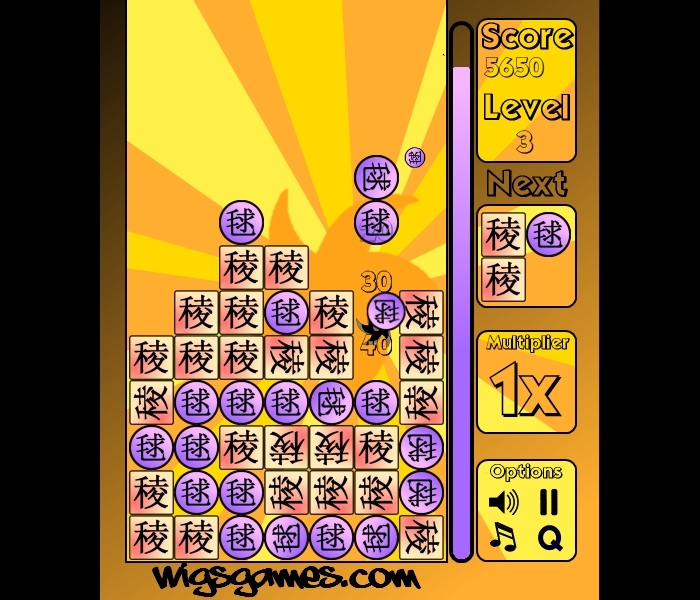 Whilst it looks like a simple Tetris style game to beginners, they're instantly familiar with the game play style. Then it quickly transforms into a considerably more challenging experience once the first Shuriken Drops!" 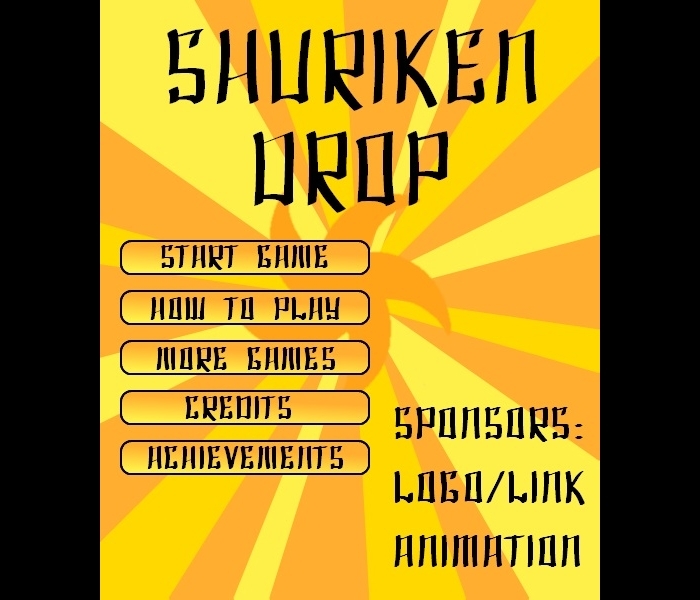 Shuriken Drop has a difficulty levels for beginners to advanced players. 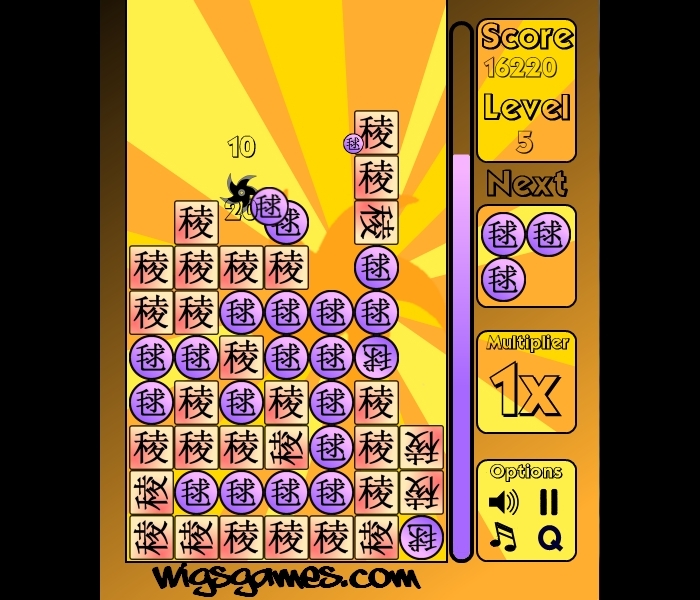 Carefully spin and place the falling blocks to create paths for the Shuriken to travel. Clear rows of blocks for extra points, and to create space for the following blocks. 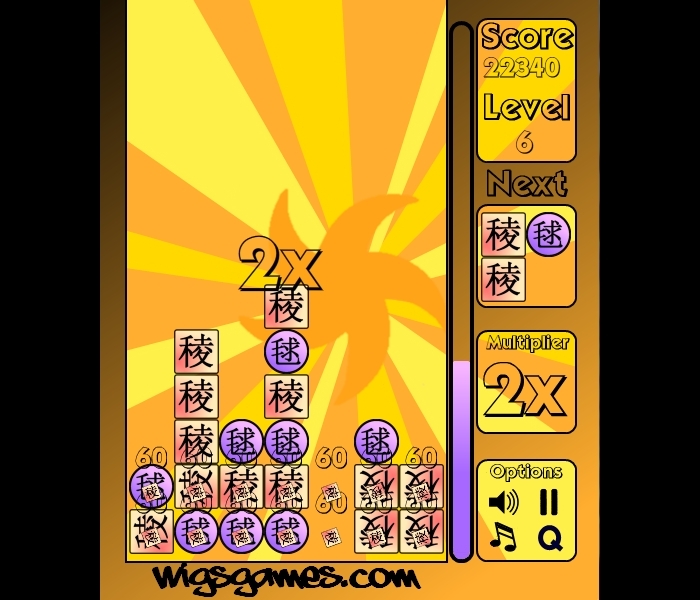 Score multipliers and achievements push the boundaries of the players skill. 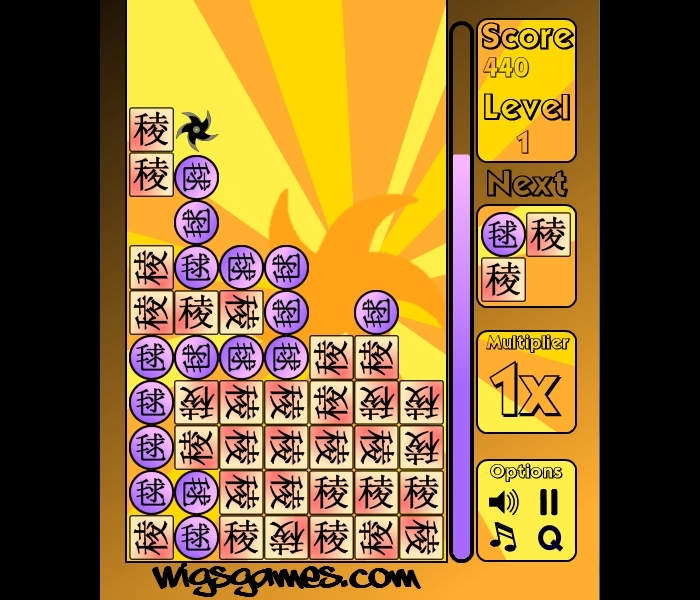 The aim of Shuriken Drop is to score the highest of your friends before the inevitability of failure. But next time you'll do better, right ? 3 difficulty levels, beginners will soon master the game play concepts, and can then advance to a faster more challenging experience. Score multipliers and achievement rewards for performing great moves. Please contact us if you wish to discuss licensing a customised or advert free version of Shuriken Drop for your website.